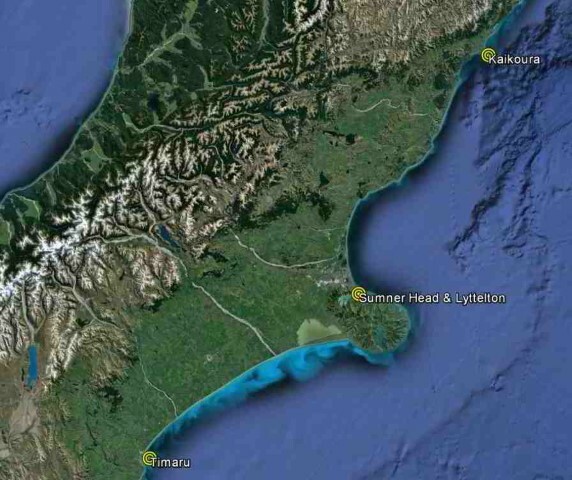 The figure to the left shows storm surge for the last week at various sites along the Canterbury coast. 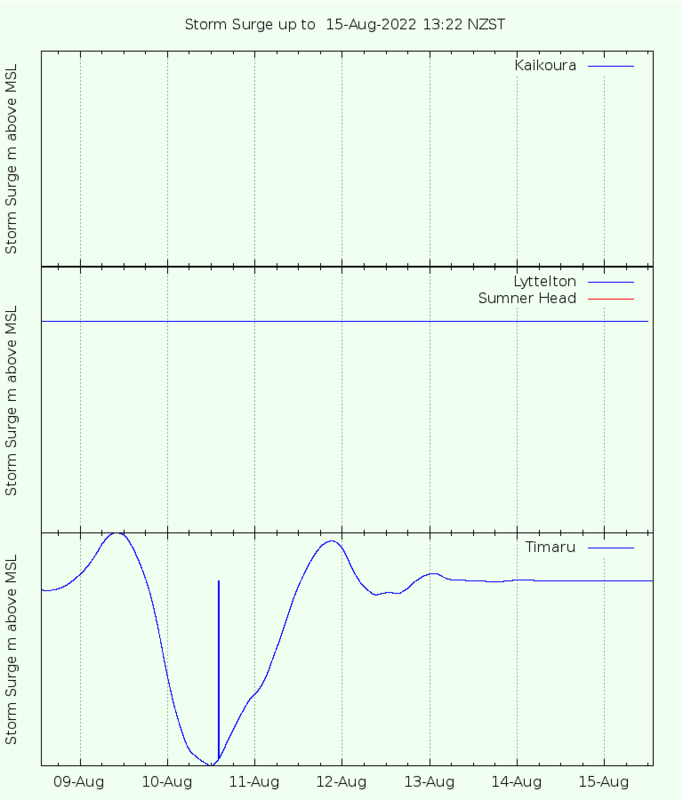 The data for Kaikoura and Sumner Head come from GeoNet's tsunami gauges. The data are updated at about 1 pm daily, so the storm surge could be up to a day behind. The data for Lyttelton and Timaru come from Lyttelton Port Co and Prime Port Timaru respectively. Storm surge along the coast is quite variable. The sites are separated by approximately 1° in latitude and 150 km in distance.